Alyson Klein and Lauren Camera cover federal policy for Education Week, tracking and analyzing the moves of Congress, the White House, and the U.S. Department of Education. "You have to give teachers the opportunity to be fully developed in the presentation of this material," said Miller, who serves as the top Democrat on the House education committee, at an event promoting the Common Core at the Center for American Progress Friday. "If they are fully developed, you have something to evaluate." Continue reading here. Powerful piece by Chris Hedges on the anticipated crushing of dissent that stands to befall those that challenge the corporate state. Chris Hedges made these remarks Saturday at a panel discussion in New York City titled “The Climate Crisis: Which Way Out?” The other panelists were Bill McKibben , Naomi Klein , Kshama Sawant  and Sen. Bernie Sanders . The event, moderated by Brian Lehrer , occurred on the eve of the People’s Climate March in New York City. For a video of some of what the panelists said, click here . We have undergone a transformation during the last few decades—what John Ralston Saul  calls a corporate coup d’état in slow motion. We are no longer a capitalist democracy endowed with a functioning liberal class that once made piecemeal and incremental reform possible. Liberals in the old Democratic Party such as the senators Gaylord Nelson, Birch Bayh and George McGovern—who worked with Ralph Nader to make the Clean Air Act, the Clean Water Act, the Mine Safety and Health Act, the Freedom of Information Act and the OSHA law, who made common cause with labor unions to protect workers, who stood up to the arms industry and a bloated military—no longer exist within the Democratic Party, as Nader has been lamenting for several years. They were pushed out as corporate donors began to transform the political landscape with the election of Ronald Reagan. And this is why the Democrats have not, as Bill Curry  points out, enacted any major social or economic reforms since the historic environmental laws of the early ’70s. We are governed, rather, by a species of corporate totalitarianism, or what the political philosopher Sheldon Wolin describes as “inverted totalitarianism.”  By this Wolin means a system where corporate power, while it purports to pay fealty to electoral politics, the Constitution, the three branches of government and a free press, along with the iconography and language of American patriotism, has in fact seized all the important levers of power to render the citizen impotent. The old liberal class, the safety valve that addressed grievances and injustices in times of economic or political distress, has been neutered. There are self-identified liberals, including Barack Obama, who continue to speak in the old language of liberalism but serve corporate power. This has been true since the Clinton administration. Bill Clinton found that by doing corporate bidding he could get corporate money—thus NAFTA, the destruction of our welfare system, the explosion of mass incarceration under the  omnibus bill, the deregulation of the FCC, turning the airwaves over to a half dozen corporations, and the revoking of FDR’s 1933 Glass-Steagall reform  that had protected our banking system from speculators. Clinton, in exchange for corporate money, transformed the Democratic Party into the Republican Party. This was diabolically brilliant. It forced the Republican Party to shift so far to the right it became insane. By the time Clinton was done the rhetoric of self-professed liberals was a public relations game. This is why there is continuity from the Bush administration to the Obama administration. Obama’s election did nothing to halt the expanding assault on civil liberties—in fact Obama’s assault has been worse—the Bush bailouts of big banks, the endless imperial wars, the failure to regulate Wall Street, the hiring of corporate lobbyists to write legislation and serve in top government positions, the explosion of drilling and fracking , the security and surveillance state as well as the persecution of government whistle-blowers. The Obama administration, in return for financial support from these kingpins of carbon, has cynically undermined international climate treaties, a fact we discovered only because of the revelations provided by Edward Snowden and WikiLeaks. It uses its intelligence agencies, these revelations revealed, to spy on those carrying out climate negotiations to thwart caps on carbon emissions and push through useless, nonbinding agreements. The Obama administration has overseen a massive expansion of fracking. It is pushing through a series of trade agreements such as the TPP  and the TAFTA  that will increase fracking along with expanding our exports of coal, oil and gas. It authorized the excavation of tar sands in Utah and Alabama. It approved the southern half of the Keystone pipeline. It has permitted seismic testing for offshore drilling in the Gulf of Mexico, the East Coast and in parts of Alaska, a process that kills off hundreds of sea mammals. It authorized drilling within four miles of the Florida coastline, violating one of Obama’s 2008 campaign promises. This expansion of offshore drilling reversed 20 years of federal policy. The Democratic Party speaks to us “rationally.” The party says it seeks to protect civil liberties, regulate Wall Street, is concerned about the plight of the working class and wants to institute reforms to address climate change. But in all these areas, and many more, it has, like its Republican counterpart, repeatedly sold out the citizenry for corporate power and corporate profits—in much the same manner that Big Green environmental groups such as the Climate Group  and the Environmental Defense Fund  have sold out the environmental movement. If Wolin is right, and I believe he is, then when we begin to build mass movements that carry out repeated acts of civil disobedience, as I think everyone on this panel believes we must do, the corporate state, including the Democratic Party, will react the way all calcified states react. It will use the security and surveillance apparatus, militarized police forces—and, under Section 1021 of the National Defense Authorization Act, the military itself—to shut down all dissent with force. The legal and organizational mechanisms are now in place to, with the flip of a switch, put the nation effectively under martial law. When acts of mass civil disobedience begin on Monday morning with Flood Wall Street  and later with Occupy the U.N. , the face of the corporate state will, as it did during the Occupy movement, reveal itself. Could Bilingual Education Mold Kids’ Brains to Better Resist Distraction? Researchers now believe that when people learn another language, they develop cognitive advantages that improve their attention, self-control and ability to deal with conflicting information. For decades, psychologists cautioned against raising children bilingual. They warned parents and teachers that learning a second language as a child was bad for brain development. But recent studies have found exactly the opposite. Researchers now believe that when people learn another language, they develop cognitive advantages that improve their attention, self-control and ability to deal with conflicting information. Today the benefits of bilingualism are being put to the test in schools all across Utah. Arrowhead Elementary is just one of the more than 100 public schools in the state that have launched language immersion programs in the past five years. At Arrowhead, that language is Mandarin. Other schools across Utah have created programs in French, Spanish, Portuguese, and German. Supporters of immersion education argue that learning a second language is valuable preparation to participate in the global economy. But parents are most excited about what language learning could do for their children’s brains. The first-graders of Arrowhead Elementary in Santa Clara, Utah, are giggling. Their math teacher, Jing Sun, has just made a little subtraction joke. She drew red circles on a whiteboard, erased one, and asked, “Where did he run away to?” The kids think it’s hilarious. It’s a joke that could be made in any first-grade math class across the United States — except that here, in southern Utah, in front of a classroom full of blond children in braids and crew cuts, Sun is speaking Mandarin Chinese. That’s the only language she speaks in the classroom: English is, emphatically, not allowed here. And the students in this class, who have been in Arrowhead’s Chinese program only about two months, seem to understand almost everything Sun is saying. At Arrowhead Elementary, half of the kindergartners, first-graders and second-graders spend half of each day in classes taught entirely in Mandarin Chinese. This model of language education is known as dual immersion: The students learn civics and reading in English, and math and science in a second language. Arrowhead implemented its immersion program three years ago, hiring native Mandarin-speaking teachers through a partnership between the Chinese government and the state of Utah. Principal Susan Harrah initially faced some resistance from parents and staff. Three years into the program, Arrowhead’s immersion skeptics have become its greatest fans. Test scores for immersion students at the school are slightly higher than they are for non-immersion kids. There’s a waiting list to get into the program. And the school’s teachers — even the English-language ones — are now big supporters. Canadian psychologist Ellen Bialystok, at York University in Toronto, studies how the brains of bilingual people work in comparison to people who speak just one language. She wires up the skulls of test subjects from both groups to an electroencephalograph (EEG), a device that records electrical activity produced by neurons in the brain. One of the experiments she performs is called the Eriksen flanker task, which measures a person’s attention and ability to screen out unwanted stimuli. Bilingual people generally perform better on the test than monolinguals. In Bialystok’s cognitive performance lab, the test subject watches a computer monitor that flashes a set of five arrows arrayed in a line. Depending on where the center arrow is pointing, the subject clicks a computer mouse in her left or right hand. The arrows flanking the central target add cognitive noise to the pattern. The subject has to ignore those arrows and focus on the center one. The speed and accuracy of the test subject’s reactions are measured by the computer. The EEG detects how hard her brain had to work to sort out the target arrow from the flanking noise. Bialystok believes bilinguals are better at tuning out the noise. Their brains may have a stronger “executive control” system because of the need to switch, mentally, between languages. “What we now know based on massive research is that both languages are always active [in the brain] to some degree,” Bialystok said. So if French were her first language and English her second, “Why don’t half my sentences come out with French words by accident?” she asked. That rarely happens in bilinguals, Bialystok said, because the executive control system — a network in the brain’s frontal lobe — is busy focusing the mind’s attention on English, screening out the French words. The network is a kind of traffic control system that helps organize and regulate thinking. When a bilingual person calls on the network to manage the traffic of dual languages, it gets stronger. Today, bilingualism is seen as having cognitive benefits, but that wasn’t always the case. When Bialystok was an undergraduate in the 1960s, psychologists saw bilingualism as a disadvantage. In our contemporary, multitasking society, notions have changed. A bilingual person with a strong executive control system may have an edge. “Everything that we do that requires focused, selective attention — ignoring salient distractors that are trying to compete for attention, shifting between two things that we are trying to do at the same time, manipulating information — that is all frontal lobe, executive function stuff,” Bialystok said. In functional MRI scans of test subjects doing the flanker task, researchers can see that the part of the brain that is believed to house the executive control system uses less blood flow in bilinguals. It’s not working as hard. Researchers have also discovered that bilingualism may provide some protection for the brains of aging people. Studies show that the onset of dementia occurs later in the brains of bilingual people. The executive control system, researchers say, is the last one to fully develop (think teenagers) and the first to decline, but strengthening it may slow that decline. Bialystok and Kroll say one reason language can have such a profound effect on the brain is because of how deeply we are steeped in language. We use language constantly, to speak, to read and to think. Compare that to time spent in other cognitive activities such as practicing music or making mathematical calculations. “Over the course of your life, you have vastly more experience using language than most of these other domains,” Kroll said. Kroll and Bialystok caution not to get too far in front of the research by making assumptions about the benefits of bilingualism. Scientists are still working to determine exactly what mechanism makes bilingual brains gain greater executive control. And there’s no guarantee that growing up bilingual, or in a language immersion program, will prove beneficial for any given individual. Immersion education is growing in the rest of the country. California and Minnesota have long been leaders in immersion, and Delaware recently implemented a new program modeled after Utah’s. According to the most recent numbers from the Center for Applied Linguistics (CAL), immersion education has been steadily increasing in the United States since the 1970s. In 2011, CAL counted almost 450 immersion programs across the country. Today, that number is almost certainly higher, as Utah in particular adds schools to its statewide program. But language education in general is actually declining across the country, especially in the lower grades. Between 1997 and 2008, the percentage of elementary schools offering foreign language instruction dropped from 31 percent to 25 percent. And the numbers are even more striking when you consider only public schools, where the percentage of elementary institutions offering language education dropped from 24 percent to 15 percent over the same period. When it came time to register her boys, Tiger and Justin, for first grade, Stacy Steiner of Southern Utah had a choice: put them in Horizon Elementary School’s Chinese immersion program or enroll them in the school’s standard English program. Stacy was intrigued by immersion, but she was also nervous, particularly about Justin, who sometimes struggled in school. Steiner said that she worried through the whole first month of classes about how her boys were doing, immersed in a language they had never heard before. That changed at the first parent-teacher conference. Last year, Justin struggled in school. This year, he’s making A’s. She says the boys’ success learning Mandarin Chinese has changed the way she pictures their future. This article originally appeared on American RadioWorks and is part of an hourlong radio documentary called the Science of Smart. You can listen to the full documentary here and download the American RadioWorks podcast on ideas in education. 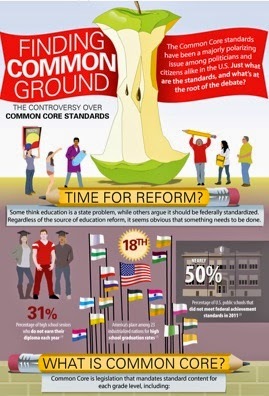 I am happy to share this info graphic on the controversy over Common Core. This is a very helpful visual. Thanks to Jakayla Mullin for sharing. is fired, according to a new survey. organization, found that 61 percent of respondents opposed plans – like one in Georgia – to make student test scores 50 percent of a teacher’s evaluation. before fully launching the controversial evaluation system. about linking evaluations to pay or bonuses. Results from the study are based on a phone study completed by 1,001 adults across the nation. Respondents also said they trusted public school teachers and indicated support for more rigorous teacher preparation programs. I, too, am offended by the suggestion that advanced degrees in teaching do not matter. migrants until after the November election. US-Mexico border in Ixtepec, Mexico. This relates to my previous post on Moses, the U.S. Constitution and accuracy in social studies textbooks. Important debate continuing today at Texas' State Board of Education. And they could end up in your kid's classroom too. The battle over Texas textbooks is raging once again. On Tuesday, hundreds of citizens turned out for the first public hearing on the controversial social-science materials now under review as part of the state's contentious once-in-a-decade textbook adoption process. During the all-day proceedings, activists and historians pointed out numerous factual errors and complained that the books promoted tea party ideology while mocking affirmative action and downplaying the science linking human activity to climate change. "They are full of biases that are either outside the established mainstream scholarship, or just plain wrong," Jacqueline Jones, who chairs the history department at the University of Texas-Austin, said from the podium. "It can lead to a great deal of confusion in the reader." Other speakers raised concerns about the treatment of religion, especially the tendency of some books to play up the role of Christianity in our nation's founding. Kathleen Wellman, a professor of history Southern Methodist University, noted with dismay that a popular civics text was filled with references to Moses and claimed that the biblical prophet had inspired American democracy. If the draft texts are adopted as is, she argued, Texas children could grow up "believing that Moses was the first American." Conservatives, meanwhile, complained that the books gave too much space to liberal figures such as Hillary Clinton. It's a high-stakes debate. Because Texas has one of the nation's largest public school systems and some of the most rigid textbook requirements, publishers have traditionally tailored textbooks they sell nationwide to the Lone Star market. In the words of Oliver Wendell Holmes, Jr. taxes are "what we pay for civilized society." Society does not appear to be much more civilized today than it was when Justice Holmes made that observation in 1927. However, "what we pay" has certainly gone up. The book makes no mention of the potential benefits of taxation, including safety net programs such as Social Security and Medicare, that have been adopted since 1927 and have slashed poverty, especially among the elderly. In another chapter, the Pearson text takes aim at affirmative action with a cartoon showing two aliens in a space ship landing on Earth. Pointing toward a man in a suit and tie, one of them exclaims: "This planet is great!—He says we qualify for affirmative action!" The only context is a caption asking readers to parse the cartoon's meaning. Scientists agree that Earth's climate is changing. They do not agree on what is causing the change. Is it just another natural warming cycle like so many cycles that have occurred in the past? Scientists who support this position cite thousands of years' worth of natural climatic change as evidence. Or is climate change anthropogenic—caused by human activity? Scientists who support this position cite the warming effect of rapidly increasing amounts of greenhouse gases in the atmosphere. The book goes on to quote two reports on global warming. One is from the Intergovernmental Panel on Climate Change, a global outfit comprised of climate scientists who have assembled a vast body of evidence that human beings are to blame; the other is from the Heartland Institute, a conservative think thank, which has a long history of shilling for dirty industries (including Big Oil) and has tried to undermine the science linking human activity to climate change. "Scientists who study the issue say it is impossible to tell if the recent small warming trend is natural," reads the Heartland passage quoted in the book. "Thousands of peer-reviewed articles point to natural sources of climate variability that could explain some or even all of the warming in the second half of the twentieth century." Burning oil to run cars also releases carbon dioxide into the atmosphere. Some scientists believe that this carbon dioxide could lead to a slow heating of Earth's overall climate. This temperature change is known as global warming or climate change. Scientists disagree about what is causing climate change. In reality, as NCSE points out, there's no indication that climate change is a passing phase, and 97 percent of climate scientists agree that human activity is the primary driver. Besides distorting the underlying science, NCSE's programs and policy director Josh Rosenau says many of the 104 social-studies textbooks up from review give climate change short shrift. "In this day, social-studies education ought to include an in-depth discussion of climate change," he told Mother Jones. "There are serious policy implications. There are cultural, geographic, and economic consequences. But if you include the topic, it becomes a flash point with conservatives on the Board of Education." The current crop of textbooks were written to comply with a set of standards that the Texas State Board of Education, then controlled by a group of ultra-conservatives, crafted in 2010 with input from a cadre of hand-picked "experts." Among them were conservative culture warriors such as David Barton, a self-styled historian with deep ties to the Republican Party who argues that the principle of church-state separation is a myth. As a result, the books are required to glorify free-market capitalism, promote America's Christian heritage, and pay tribute to conservative icons, such as Newt Gingrich and Phyllis Schlafly. Comments from Tuesday's hearing will be forwarded to publishers, who are allowed to make changes but tend to be wary of doing anything that will put them at odds with the board. The final vote on which books to adopt will be held November. Under a new Texas law, board members can only vote to reject books that have blatant factual errors or fail to meet at least half of the state's requirements, meaning it may be too late to address some of the concerns raised by Texas citizens. As Republican board member Thomas Ratliff put it last week, "If there's a complaint about the standards, that ship has sailed." Ratliff struck a more diplomatic note during Tuesday's meeting. "This process is not going to be perfect," he said. 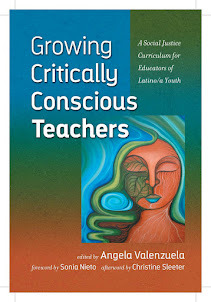 "These books are not going to be perfect from anybody's perspective, and so what we got to do is remember these are put in the hands of hopefully trained professionals that will teach these subjects in a fair balanced and comprehensive way to get these kids ready to think for themselves." research, writing and teaching are not surprising. On the topic of (in)accuracy, I'm sure that these textbook are also not acknowledging the influence of American Indians, specifically, the Iroquois nation and its Constitution upon the American Constitution. The debate continues today. You can follow this blog for more info from the Texas Freedom Network. Today’s report from the Census Bureau shows that key indicators of poverty and family income improved in 2013. Moreover, there is reason to believe that this progress has continued into 2014, as the labor market has strengthened and millions have gained health insurance coverage. At the same time, the data also offer a clear illustration of the large amount of work that remains to strengthen the middle class in the wake of the worst recession since the Great Depression. To address this challenge, the President will continue to do everything in his power to ensure that hard work pays off with decent wages and financial security. And he will also continue to push Congress to take constructive steps that invest in job creation, boost wages, and ensure equal pay for equal work. 1. The overall poverty rate declined to 14.5 percent in 2013 due to the largest one-year drop in child poverty since 1966. The poverty rate for people under age 18 fell by 1.9 percentage point from 2012 to 2013, equivalent to 1.4 million young people lifted out of poverty. Poverty rates for other age groups (18-64 and 65+) were little changed. The official poverty rate for 2013 remains above its pre-recession rate. This official poverty rate does not reflect the full effect of anti-poverty policies because it excludes the direct effect of key measures like the Supplemental Nutrition Assistance Program (SNAP) and the Earned Income Tax Credit (EITC). Notably, the EITC was expanded in 2009, and those expansions were subsequently extended. Accounting for such policies would reduce the number of people counted as being in poverty by millions. 2. Real median income for family households rose by $603 in 2013 but remains below pre-crisis levels. Income gains in 2013 were driven by family households, as overall median household income (which also includes households with single people living alone or with unrelated individuals) also rose, but by a smaller $180. As discussed below, there is reason to believe that this progress has continued into 2014. Nevertheless, the typical family has still not seen its income recover from the deep recession which came on top of a decade in which incomes stagnated for the middle class, itself part of a longer-term trend of increasing income inequality. 3. While still too wide, the gender pay gap narrowed slightly in 2013, with the female-to-male earnings ratio climbing above 78 percent for the first time on record. Looking over the last thirty years, the gender pay gap narrowed in the 1980s and 1990s, but progress stalled in the 2000s. Indeed, the female-to-male earnings ratio had been unchanged, on balance, from 2002 to 2012. The progress made in 2013 reflected a $817 increase in average earnings for female full-time, year-round workers. At the same time, earnings for men and women are still far from parity. This issue remains a high priority for the President, which is why earlier this year he built on previous steps and signed an Executive Order that will empower workers at Federal contractors to negotiate for fair pay. The President will also continue to push Congress to take steps like passing the Paycheck Fairness Act. 4. Children and the elderly were much more likely than non-elderly adults to have health insurance coverage in 2013, reflecting the contributions of public programs like Medicare, Medicaid, and the Children’s Health Insurance Program (CHIP). Eligibility for public insurance coverage contracts sharply at age 19, the age at which the more generous Medicaid/CHIP eligibility rules that apply to children cease to apply, and expands sharply at age 65, the Medicare eligibility age. Among non-elderly adults, insurance coverage generally increased with age, except that young adults ages 19-25 were slightly more likely to have health insurance than slightly older adults ages 26-34. Insurance coverage among adults ages 19-25 has increased markedly in recent years due to the Affordable Care Act’s dependent coverage provision, which permits young adults to remain on their parents’ health insurance plans until they turn age 26. These Census Bureau estimates are part of the first set of estimates produced using a revised suite of health insurance questions in the Current Population Survey. These revised questions are designed to address longstanding shortcomings in the older questions and will generate a more accurate picture of health insurance coverage going forward. The methodological change does mean that these data are not suitable for evaluating changes in insurance coverage from 2012 to 2013. Nevertheless, other data out today from the Census Bureau’s American Community Survey showed that coverage expanded modestly from 2012 and 2013, and data released by the National Center for Health Statistics showed a sharp increase in coverage from 2013 through early 2014. For a detailed analysis of all of the health insurance coverage data released today, see this companion blog post. 5. The data released today by the Census Bureau cover the calendar year 2013, and so do not reflect the notable improvement in the labor market seen over the first eight months of 2014. In particular, job growth so far this year has averaged 215,000 per month, up from 194,000 per month last year. As of August, the unemployment rate was down 1.1 percentage point from a year earlier, with three-quarters of that decline due to falling long-term unemployment. Further, average hourly earnings for private production and nonsupervisory workers were up 2.5 percent from a year ago, the largest year-over-year increase since 2010. While data on poverty and family income in 2014 will not be available until this time next year, the recent labor market data suggest that those figures will likely show further improvement as families continue to recover from the worst economic crisis since the Great Depression. Next year’s report is also likely to show that health insurance coverage increased sharply in 2014, reflecting an improving economy and, much more importantly, the effects of coverage expansions under the Affordable Care Act. Notably, an analysis published last month in the New England Journal of Medicine estimated that the uninsurance rate among non-elderly adults dropped by 5.2 percentage points from late 2013 through the second quarter of 2014, corresponding to 10.3 million people gaining coverage. Moreover, in the wake of the shooting of Michael Brown, an African-American teenager, by a white police officer in Ferguson Mo., and the multiple protests, workplace diversity and retention has taken on a heightened significance. Families and students from minority-majority communities and school districts have intensified calls for greater representation of minorities in civic, law-enforcement, and education professions. In other words, teachers and police officers need to reflect the communities they serve and maintain a deep affinity for and with their children and citizens. 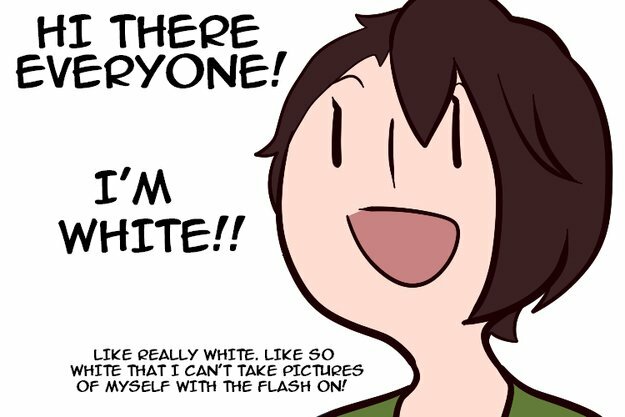 Diversity-employment policies, diversity training, and even the election of an African-American president are not enough. Until there is a shift in the workforce to match the overall shift in population demographics, racism and racial tension will remain a strong current in this country. I am so proud of our DREAM Act students here in Texas. They have been leaders of a movement nationwide. Here's a story on them in this morning's Austin American-Statesman. Andrea Gonzalez Garnier, who graduated last spring with a government degree from the University of Texas, and Pedro Villalobos, now in his second year at UT Law School, are Dreamers. They are called that because they are among the nearly 50,000 students to take advantage of the Texas Dream Act since Texas 13 years ago became the first state to offer unauthorized immigrants in-state tuition at colleges and universities.Calling it the Dream Act, calling them Dreamers, was intended to present them in the most uplifting, aspirational terms, offering an image of young people who have been inculcated in the American dream in the only home many of them have ever really known, striving to share in its promise. But it is even more apt than that, because Dreamers like Gonzalez Garnier and Villalobos live lives of surreal extremes, of sublime “I must be dreaming moments” amid a restless undercurrent of cold-sweat anxiety that one day they might learn that it really was all a dream, that they are being sent back to a place they barely know. Despite their uncertain futures in this country, Gonzalez Garnier and Villalobos have become deeply involved in politics, volunteering for campaigns and meeting statewide candidates and presidents. Their activism is a hallmark of a new generation of immigrants from Mexico and elsewhere in Latin America who not only are embracing the American dream but trying to shape it. Of the pinch-me moments, there was state Sen. Wendy Davis, seated between Villalobos and Gonzalez Garnier at the Democratic State Convention in Dallas in June, just before Davis ascended the stage to accept her party’s nomination for governor. The week before the convention, the pair met Hillary Clinton at BookPeople in Austin. Gonzalez Garnier, 21, plans to defer law school until she can help try to elect Clinton president. Last year, Villalobos introduced Vice President Joe Biden at a West Lake Hills fundraiser — identifying himself as undocumented, he hailed Biden as “someone who will always have our back.” At 23, Villalobos has met five American presidents, more than most heads of state can claim. And yet, in the 13 years since the Texas Dream Act was enacted, the attitude of many Texans toward Dreamers has curdled. A University of Texas/Texas Tribune poll found in June that about half of Texas voters want to see them not just stripped of their in-state tuition but deported along with every other undocumented immigrant in the state. Now comes U.S. Sen. Ted Cruz, R-Texas, casting the November election nationally as a referendum on President Barack Obama’s apparent plans to expand the very policy — Deferred Action for Childhood Arrivals, or DACA — that protects Villalobos and Gonzalez Garnier from being deported. To Cruz, it’s a lawless amnesty that precipitated this summer’s crisis on the border, with a flood of unaccompanied minors from Central America, at great peril to themselves, trekking across Mexico to Texas. If it is, University of Washington political scientist Matt Barreto, who has studied the “politics of in-between,” said it is well to remember that it was activism among those residing in the country without authorization, which first became apparent during the immigration protests of 2006, that proved decisive in persuading Obama to embrace DACA in 2012. “At first I didn’t understand how to be politically involved and not be able to vote,” Gonzalez Garnier said. But she has come to see political involvement as a way to compensate for not having the vote by encouraging others to exercise the franchise she cannot. In the eyes of Latino voters, said Barreto, co-founder of the polling and research firm, Latino Decisions, DACA was the most popular thing Obama has done and the single biggest reason he rolled up the huge margins with Latino voters that were crucial to his re-election. “These kids are the future of activism in this country, and it’s beautiful. They’re smart, and they’re committed, and they’re focused,” said Ana Yañez-Correa, director of the Texas Criminal Justice Coalition. The Texas Dream Act offered in-state tuition to any public college or university in the state to unauthorized immigrant students who have gained admission. They must have graduated from a high school or received a GED diploma in Texas, have lived in the state for at least three years and have signed an affidavit affirming they are seeking legal residency. According to the most recent numbers available from the Texas Higher Education Coordinating Board, between 2002 and 2012, 45,803 students have taken advantage of in-state tuition under the act. But “Dreamer” has also come to refer more broadly to those who would have benefited from a federal DREAM (Development, Relief, and Education for Alien Minors) Act — which has never passed Congress, but which would have permitted similar students a pathway to temporary, then permanent legal status and ultimately U.S. citizenship — and to those who are now covered by DACA, which Obama initiated in June 2012 as a stopgap measure in the absence of a national DREAM Act or comprehensive immigration reform. According to the Immigration Policy Center, there are 1.8 million immigrants in the United States who either are eligible or might become eligible for “deferred action,” a two-year, renewable reprieve from deportation to those who meet certain requirements: they are under age 31; they entered the United States before turning 16; they have lived here continuously for at least five years; they have stayed out of serious legal trouble, and they are either in school, graduated from high school, earned a GED certificate or served in the military. There are an estimated 300,000 beneficiaries or potential beneficiaries in Texas, more than any other state but California. For the last two years, DACA has enabled Gonzalez Garnier and Villalobos, both of whom were born in Mexico but grew up in Houston — Gonzalez Garnier arrived when she was 8 and Villalobos when he was 3 — to rest easy, and both have applied for a two-year extension. “I can work now,” he said. “This is some sort of small validation that this is my home country, that America is my home country. Villalobos has come to view his public affirmation of his status as an obligation. According to the National Immigration Law Center, at least 17 states provide in-state tuition for unauthorized immigrant students. The Texas Dream Act passed the Legislature in 2001 with only four dissenting votes and was signed into law by Gov. Rick Perry. The moment he uttered those words, Perry’s candidacy was doomed, said Texas Christian University political scientist Adam Schiffer, who closely tracked the polling and social media over the course of the GOP nominating process. Perry’s “oops” moment at a debate two months later was, Schiffer said, merely the coup de grace. As he contemplates another run for president, Perry is cutting a very different figure on immigration, sending National Guard troops to help secure a border that he depicts, thanks to federal neglect, as a sieve for criminal aliens, even terrorists. GOP primary politics notwithstanding, the DREAM Act remains popular with the general electorate, said Barreto, the University of Washington political scientist. “About the only segment of America that is opposed to the DREAM Act is tea party sympathizers. Even among mainstream Republicans there is broad support for the DREAM Act,” he said. But in Texas, where the tea party holds sway in the Republican Party, attitudes on immigration have been hardening. The difference between Texas Republicans and Democrats on immigration could not be starker. The Democratic State Convention adopted a platform that called for expanding DACA until comprehensive immigration reform is enacted and that opposed any effort to repeal in-state tuition. “Every session this law has been under attack, and every session it’s been saved because of Perry,” said Yañez-Correa, of the Texas Criminal Justice Coalition. “I’m concerned that the Legislature will deliver a bill to the governor’s desk in the next legislative session to repeal the Dream Act given the current makeup of the House and the Senate. As governor, I will veto a bill that comes to my desk that attempts to do that,” Wendy Davis told the American-Statesman in a recent interview. If Republican Attorney General Greg Abbott is elected governor, a veto is far less likely. “Greg Abbott believes that the objective of the program is noble. But he believes the law as structured is flawed and it must be reformed,” Abbott spokesman Matt Hirsch said when the issue arose last year. But amid Democratic fears that any announcement from the Obama administration of executive actions on immigration before the November election might swing crucial Senate races in states like Louisiana and Arkansas — and Senate control — to the Republicans, the president announced last weekend that he was postponing any action until after the election. Barreto believes that, on balance, that was a mistake for Democrats, particularly in a place like Texas. “Our polling indicates very clearly that had Obama moved forward with his executive action on immigration, Latino voters would have been much more enthusiastic about voting, and for voting Democrat,” Barreto said. Cruz seized on Obama’s retreat as a sign of weakness. “The decision to delay amnesty until after the election is an attempt to avoid accountability,” said Cruz, whose father, Rafael, came to the United States from Cuba on a student visa, and then, when that ran out, applied for and received political asylum. Legislatively, Cruz can’t win on the issue anytime soon. The Democratic-controlled Senate won’t approve the legislation ending DACA that was passed, with Cruz’s active encouragement, in the House. Obama would veto it if they did. Also, Cruz’s legislation is written such that, theoretically, it wouldn’t strip those already covered by DACA of its protections. But Cruz and his fellow Republicans in Congress and the Texas Legislature aren’t Gonzalez Garnier’s and Villalobos’ only concern. In June, the U.S. Supreme Court in a 5-4 decision held that immigrant children who turned 21, as they both have, while waiting to be issued a family-based visa, have to get in the back of the line and start the process all over again. Villalobos had been in line for permanent resident status with his parents since 1996. His parents are still waiting and then, only once they get approved can they petition on his behalf, starting the clock for him on another potentially decades-long wait. Gonzalez Garnier’s mother and brother are now permanent residents, her father’s application is still going through, but, having turned 21, she’s back at square one. In the meantime, she tries to stay focused on her very American dreaming. She came to UT hoping to major in international relations — she dreamed about a career with the CIA — until she realized it required her to study abroad and that she can’t do that with any expectation that she’d be able to return. Gonzalez Garnier and Villalobos got to know each other through the University Democrats at UT, and they both worked on Celia Israel’s campaign for state representative. 1392398081523In September 1968, Congress authorized President Lyndon B. Johnson to proclaim National Hispanic Heritage Week, observed during the week that included Sept. 15 and Sept. 16. Congress expanded the observance in 1989 to a monthlong celebration (Sept. 15 – Oct. 15) of the culture and traditions of those who trace their roots to Spain, Mexico and the Spanish-speaking nations of Central America, South America and the Caribbean. Sept. 15 is the starting point for the celebration because it is the anniversary of independence of five Latin American countries: Costa Rica, El Salvador, Guatemala, Honduras and Nicaragua. In addition, Mexico and Chile celebrate their independence days on Sept. 16 and Sept. 18, respectively. Los Angeles County had the largest Hispanic population of any county in 2013. Percentage of the 10.3 million noncitizens under the age of 35 who were born in Latin America and the Caribbean and are living in the United States in 2010-2012. Data for 2012 are being collected. The number of Hispanic-owned businesses in 2007, up 43.6 percent from 2002. Receipts generated by Hispanic-owned businesses in 2007, up 58.0 percent from 2002. The percentage of businesses in New Mexico in 2007 that were Hispanic-owned, which led all states. Florida (22.4 percent) and Texas (20.7 percent) were runners-up. Editor’s note: The preceding data were collected from a variety of sources and may be subject to sampling variability and other sources of error. Facts for Features are customarily released about two months before an observance in order to accommodate magazine production timelines. Questions or comments should be directed to the Census Bureau’s Public Information Office: telephone: 301-763-3030 or e-mail: .